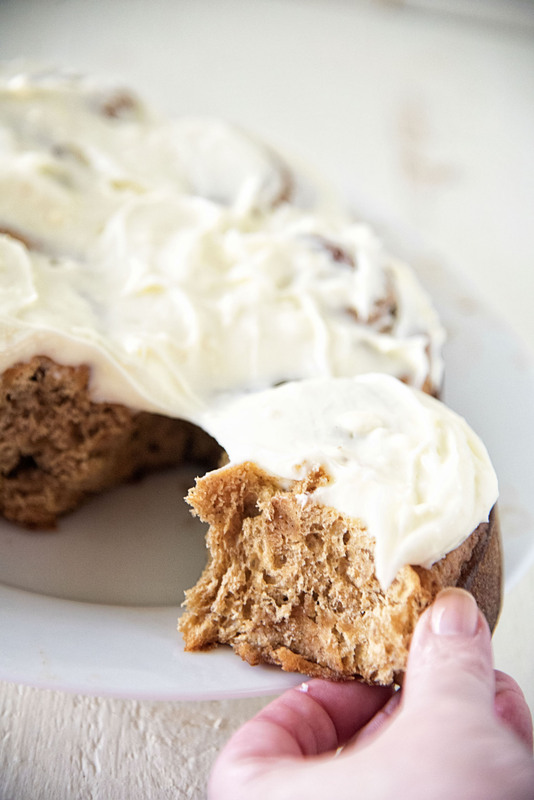 Cream Cheese Frosted Gingerbread Sweet Rolls: Sweet rolls made with gingerbread brioche, filled with brown sugar and gingerbread spices, all topped with cream cheese frosting. In case you haven’t caught on I’m in total gingerbread mode. Maybe because I put up the tree. No ornaments yet because our tree has a bad strand of lights and we have to wait on replacement for it. But the colored lights work so those are on. It’s one of those fancy trees that have the lights built in…to save time. Ironically, it’s been a bigger pain that just stringing lights. With it up I’ve been playing holiday music while I bake. I’m sure by the end of this weekend the house will be all decked out. We will be going out on Thanksgiving this year so there is no need to keep things looking fall. Now on to these rolls. Brown sugar and gingerbread spices make up the filling. And of course topped with cream cheese frosting. I added orange juice to mine to thin out the frosting. Because I love orange and gingerbread together. If you don’t want to add the orange juice substitute milk instead. When dough is has doubled in volume, punch it down by folding it two or three times. Cover and refrigerate for 4 hours or overnight. Mix the brown sugar and gingerbread spice. After the second rise, the dough is ready to be shaped. Using a rolling pin, roll it into a rectangle approximately 12 by 16 inches. 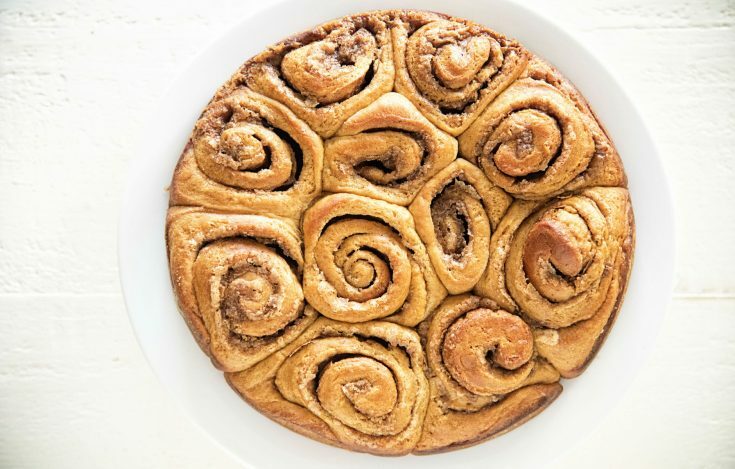 Use a pastry brush(or your hands if you like to get messy) to spread 3 TBSP of butter around the rolled out dough, leaving an 1-inch margin at the top edge with no butter. Sprinkle filling evenly over the surface, again leaving the 1-inch margin. Transfer the log to a baking sheet, cover with plastic wrap and freeze for 10 minutes. Remove from freezer, cut buns into 1 ½-inch pieces, you should get around 12. Place them back onto a greased baking pan. Spread out so they are not touching. Wrap with plastic wrap and let rise at room temperature for 1 ½ to 2 hours. Bake buns for 10 minutes and reduce heat to 350F. Bake for another 10-15 minutes depending on the size of your buns. Allow to cool on a wire rack for 10 minutes. Using a stand mixer beat together the cream cheese and butter until fully combined. Add powdered sugar, 1 cup at time. Add orange juice to thin frosting to the consistency you want. This may have to be our Christmas morning breakfast. I’d like to make it so that all I need to do Christmas morning is bake them off. Can I just refrigerate after cutting? Do I need to do anything special? 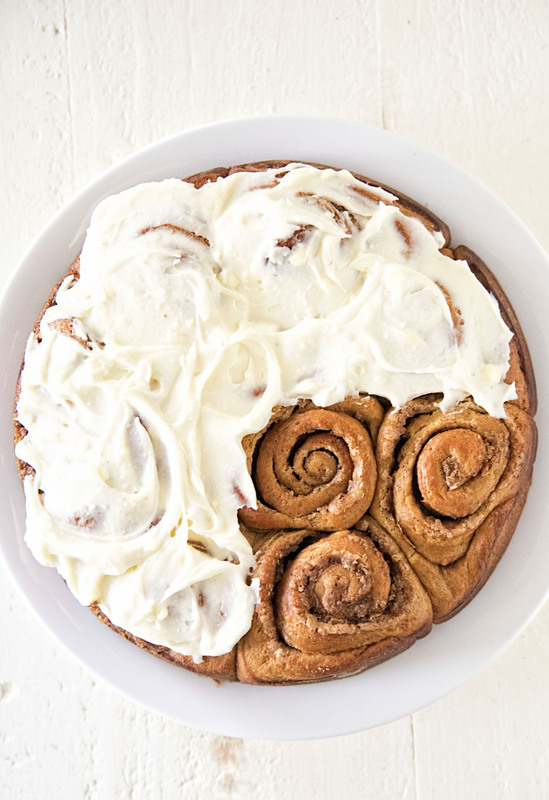 I would make the dough and not form them into buns until the morning of. You have to let them rise another hour but you have to do that if you refrigerate them after cutting. These look fabulous! 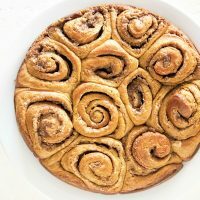 May I ask what pan you used for the rolls? I plan on making asap! I used a 9-inch spring form pan. 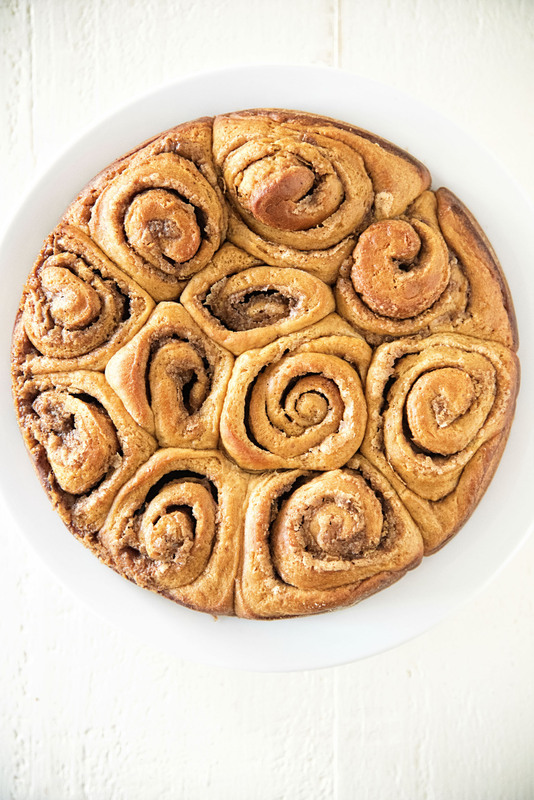 But you can make them on a baking sheet or a 9-x-13 inch pan.